In view of the third terror attack on the consecutive day in Punjab in less than six months at Pathankot Airbase by the Pakistani terrorists, India needs to learn lessons from the past. 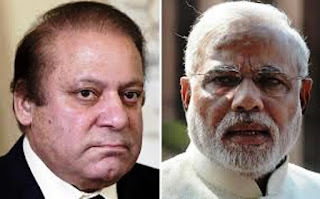 There was a mixed response to the recent visit of Narendera Modi, Prime Minister enroute to Pakistan which surprise everyone in the country and world leaders as well but it failed to write a positive history as was expected with the terrorists attack at Pathankot. In the attacks during the last two days, 5 Pak terrorists were gunned down besides 2 defence security corps men and IAF commando on January 2 and killing 7 jawans and injuring 22, the railways in Ferozepur Division which consists of almost the entire Indo-Pak border has announced high alter. It is not a surprise that whenever there is a move towards peace, whether scheduled or spontaneous there is this aggressive distraction to sabotage it. One cannot forget the glaring examples of outcome of the visit of Prime Minister in the past – Kargil attack after the visit of Atal Bihari Vajpayee and Mumbai 26/11 attack when Manohan Singh tried to put on a normal footing the relations the relations between India and Pakistan. But Modi’s visit has definitely done wonders. There would had definitely been changes in the ideology of internal forces in Pakistan and given ‘green signal’ resulting in meetings at Thailand of Nasir Khan Janjua and Ajit Dhopal followed by the presence of Sushma Swaraj at Islamabad Heart of Asia seminar. No doubt, the more information we glean the stronger we become. But this does not meant that the process of wars and entry of terrorists into Indian Territory should be regular feature. There had been wars and sneak of terrorists in to Indian Territory had much higher aims and putting our security agencies are to be more vigilant. It is more six decades when Indian and Pakistan were separated with marking of boundaries. But, how long this will go on and both the countries have to seriously think over the permanent solution. Despite keeping a 24x7 vigil at the border by the security agencies, the entry of terrorists have put a big question mark on their credibility. It is seen that our security agencies don’t act on the tip-off as in the instant case when SP Gurdaspur gave indication about his kidnapping by the terrorists, when we claim of having the capability to deal with any odd situation. Seven lives have been lost in this attack. It is not understood as to why the advance strategies are not planned to deal with such situations. Is there any non-coordination between the security agencies? As to why the entry points are not plugged when the entry in Dinanagar was also from the same route? The attention of whole of world has been diverted towards the Pakistani terrorists, with the second attack within six months by them perhaps with the intention to disturb the peaceful talks between the two countries. Will it be termed as the lethargy of Pakistan that the terrorists are ruling over the country? About a week’s back, the visit of Modi to Pakistan - though a stop-over on enroute back to India – was an indication of step forward to normalize the relations between the two countries. But condemning the visit of Modi by a group in Pakistan, looks to be big problem for Pakitstan itself as they are leaving no stone unturned to continue to have permanent fissure between the two countries. The statement by the Army chief of Pakistan to sweep out the terrorism in the country, also indicates towards this. Notwithstanding whatever may be consequences, one thing is certain the terrorists belong to Pakistan and it is their responsibility to snub them in case it really want to maintain the peace and harmony with India. In case, the Pakistan is playing a game with India and not sincere from the core of its heart, then Indian too had to change its strategic moves. Frankly speaking, we might like to rework our priorities and put a timeline on our wish list but we do not do and Pakistan hardly takes any reaction from Delhi seriously. We already suffered huge losses and it is the right time now to send a strong message in loud and clear voice that they don’t mess with India without consequences.